International staff – cutting edge technology! Make this week of camp even more special for your child - find out more about our host family program! 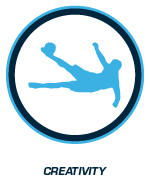 The all new Challenger International Soccer Camp will offer programs for each age & ability level. The Half Day Camp for 6-16 year olds is our most popular program and will provide 3 hours of skill development each day. Full day camps will offer more advanced coaching for more competitive players and those wanting a whole day of camp activity. Team Camps are also available! Campers will also receive a free coaching app allowing them to continue their skill development at home with camp skills homework and on-going virtual training throughout their season. 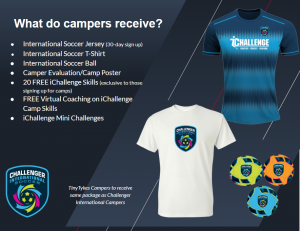 All Challenger Sports International Soccer Campers will receive a camp ball and T-shirt, a coaching app and 20 skill videos, and access to our online coaching library. Register 30 days or more before camp and you will also qualify to receive one of our great looking International Jerseys! Includes games and activities to introduce and develop coordination, balance, running, stopping, turning, kicking, dribbling, throwing & Catching. 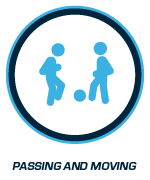 Emphasis is placed upon individual skill development, small sided games, and having fun! A combination of the half day camp program along with additional developmental soccer practices, games, competitions, challenges and fun activities. A full day of coaching for players who are trying to move up in the world of soccer. Plus….If you are already a competitive player looking for a more advanced program of training – we have it! iChallenge is a new personal coaching app that will help campers develop skills and creativity both during the camp and at home! 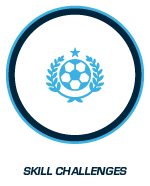 Each member of your club will receive a code to download the iChallenge app and the Bronze Package completely FREE, including 20 skill videos. Campers will receive an additional 20 videos FREE! Campers view and practice the skills at their ability level, upload a video of the completed skills, and then receive online coaching from a member of our experienced virtual team! Each camper scores points for their videos, ranks internationally, and can challenge others to innovative freestyle duals! Now your players can have their own personal coach throughout the whole year! Every one of your registered coaches will be given a free trial membership to United Soccer Coaches (Formerley The National Soccer Coaches Association of America) This will include access to the United Soccer Coaches Resource Library, the Digital Soccer Journal, discounted convention registration, discounts on NSCAA residential academies, plus access to a number of additional discounts and benefits from official NSCAA partners. 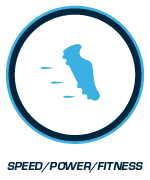 FREE ONLINE COACHING RESOURCE Every one of your registered coaches and players will be given access to Challenger’s online coaching resource – thechallengerway.com (Value $79). The Challenger Way contains a comprehensive collection of HD video, pdf and on screen information for players and coaches of all ages and abilities. FREE COACHING MATERIAL Challenger will provide your organization with a pdf Coaching Guide that can be easily copied and handed out to each of your coaches. 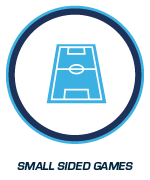 This new condensed format will provide enough material for a whole season and we are happy for to reproduce this and share with your entire team of coaches. 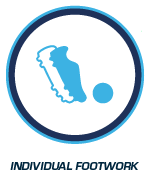 FREE COACHES CLINIC Challenger coaching staff will provide your club with a complimentary NSCAA approved parent coach clinic. This 2 hour class will help your volunteer coaches become familiar with Challenger’s Progressive Coaching methodology and will explain how to structure the practice to include a warm-up, Unopposed & Opposed drills, Game Related practice, and finally coaching within the game. Please contact your local Challenger Sports representative for more informaton. Challenger Sports has partnered with industry leading tech company TopYa! to create iChallenge, a new personal coaching app that will help campers develop skills and creativity both during the camp and at home! Each camper receive a code to download the iChallenge app and 20 skill videos absolutely free. Campers view and practice the skills at their ability level, upload a video of the completed skills, and then receive online coaching from a member of our experienced virtual team! Each camper scores points for their videos, ranks internationally, and can challenge others to innovative freestyle duals! Challenger coaches will give campers “homework” to do each day and will encourage the children to invest time in their own skill development rather than just relying on organized practices and games. Now your players can have their own personal coach throughout the whole year! 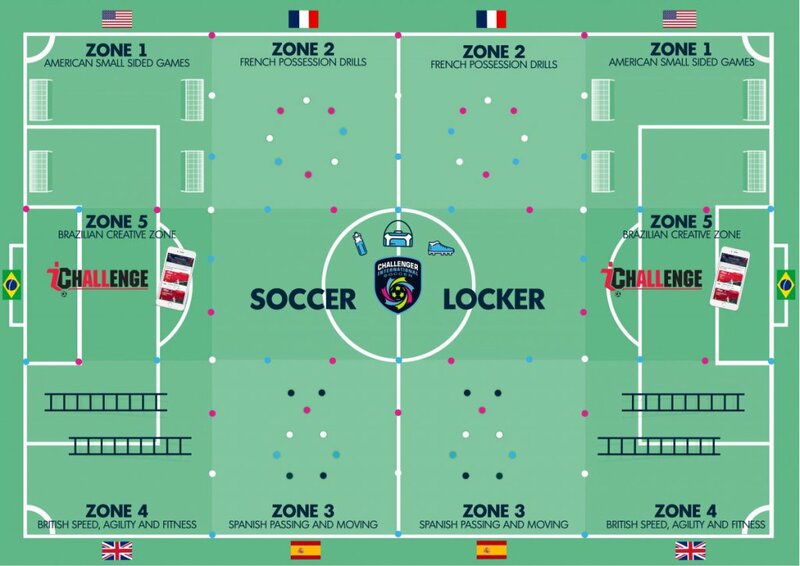 Challenger’s International Soccer Campa and Clinics not only offer an unrivaled soccer experience during the summer months but they also include an excellent campers package. Since 1984 thousands of coaches have helped hundreds of thousands of young American players fall in love with Soccer! Our coaches are the reason why!!! Simply put we hire only the best! With 18 offices throughout the US, UK & Brazil, and franchises in Australia, Spain & South Africa, coupled with our year round recruitment and training program, we hire the most talented and enthusiastic coaches possible exclusively to work with your son or daughter on over 2,000 summer camps in the US and Canada! Check out video from one of our summer coaching staff training events. The coaches on your summer camp will stay with local families in your community for the duration of the camp week. Over the year’s this has become one of the most popular elements of Challenger’s camp programs. Each year we receive hundreds of emails from families telling us what an incredible time they had hosting one of our coaches. In return, not only will you receive a rebate of up to $80 towards the cost of your summer soccer camp fees, but more importantly you will enjoy a unique week learning about the UK, learning about soccer and building lasting friendships with our staff. Thank you to our 13,000 host families who housed our coaching staff this summer! If you received a host family card please go to the link below to redeem your code for credit, merchandise or a rebate. To claim your rebate please click here.